December 2016 – THE BOOKS THAT TIME FORGOT. Captain Gerber gets called to Saigon for an important assignment. He is ordered to lead a reconnaissance mission into Cambodia to monitor the Ho Chi Minh trail. The orders are signed by general Westmoreland so there is no danger of another court martial for violating the border. He also is ordered to take with him a Kit Carson Scout. These are what the Americans called VC who defected and now work for them. The missions starts out without a hitch but it quickly becomes clear that its not what it seems. They find a transponder that the VC are using to track them. The reality is that they are being used as bait to draw the VC out into the open so a B-52 airstrike can destroy them. General Crinshaw has ordered that no rescue attempt be made so now Gerber and his men are trapped, surrounded by VC waiting for a B-52 bombardment. The next book in the series is a solid story. Our heroes get caught up in the vengeful machinations of General Crinshaw. The Kit Carson scout turns out to be a beautiful half-French woman. 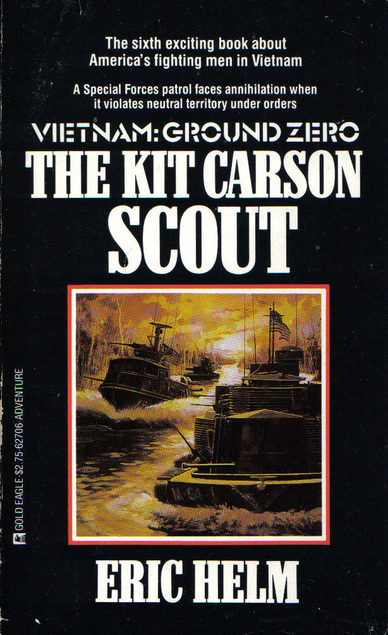 Amazing how lucky that turns out instead of some old guy missing all his teeth which was probably the normal Kit Carson Scout. In fact Gerber has three women in this story after him. His girlfriend reporter Robin. The Kit Carson Scout and Robin’s sister who he was originally seeing but turned out to be married. She is apparently leaving her husband and wants to get back together. Yeah this guy has it tough. Anyway this was an exciting story with a lot of action and suspense. You wondered how they would get out of the situation they were in and luckily Robin and the CIA agent Maxwell came through in getting them rescued. So definitely the series can continue with new adventures. So I guess you’re done with Christmas shopping to be hanging around looking at posts. So I wish you a very Merry Christmas. Here is a short little cartoon. It was made just before the start of WWII. A fairly grim and pessimistic outlook for a cartoon from that time. And the squirrels shall inherit the Earth. Staff Sgt. Sean Cavanaugh has been released from the hospital and reassigned to camp A-555. Cavanaugh back when the camp was being established was the sole survivor of an attack on a listening post. He defended it wounded and out of ammo resulting in over 70 VC dead. He should have received the Medal of Honor but the rules state there must be a witness so he gets an inferior medal. He goes out on patrol and another ambush occurs with him the sole survivor. This causes him to snap. He forms a squad of Vietnamese strikers who lose family when a village was massacred. He starts a private war against the VC with a trademark of cutting off the trigger fingers of the slain enemy. Now Captain Gerber has no choice but to hunt down the renegade. This story is mainly Sean Cavanaugh’s and he is a tragic figure. Only nineteen he has seen more and been through more than a nineteen year old kid should. You feel sympathetic for him and root for his personal crusade for it is very effective. In the end he actually manages to save Gerber who was out to assassinate him at the cost of his own life. 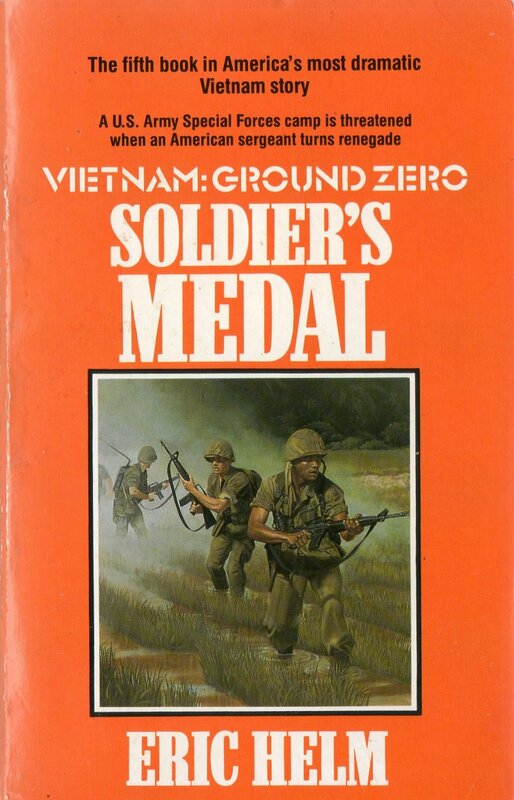 He ends up posthumously winning the Medal of Honor. A very enjoyable story with a new twist. Captain Mack Gerber gets an order from General Crinshaw. He is ordered to take practically all the personal from his camp and search for a downed aircraft. 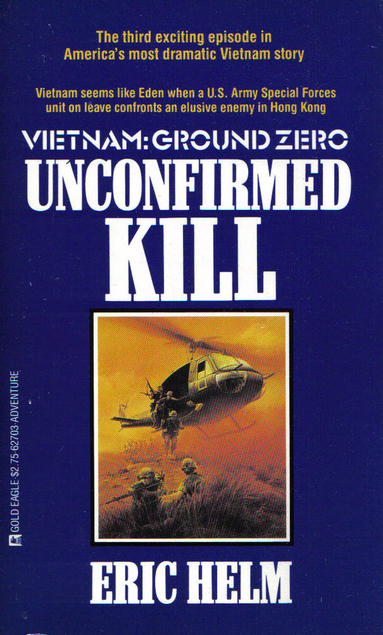 The airplane was supposedly carrying General Westmoreland from a secret meeting in Cambodian. When most of the personnel leave the ARVN executive officer a Lt. Dung puts a plan into action. Dung is actually a major in the VC and with about 40 other VC infiltrated into the striker ranks turn on the camp. They leave it open to a VC battalion that captures the camp. They take Robin Morrow the reporter hostage and also General Crinshaw comes blundering along and gets himself and his staff captured. Now Gerber must organized his forces to retake the camp and rescue the hostages. This is probably the best of the series so far. A real page turner that kept my interest from beginning to end. There was a lot of action with the capture of the camp. General Crinshaw gets exposed as the cowardly dipshit that he is. Poor Robin now twice in a row gets captured stripped naked and tortured. She has not had a lot of luck since becoming Gerber’s girlfriend. Also the mission with Westmoreland turns out to be someone whose impersonating him. A secret CIA team destroys the evidence of the crash so we never really find out what that mission was all about. This is a very exciting book and the duo that writes this series is starting to really get the hang of it. Staff Sgt. Ian McMillan is killed by the VC while observing a village at the Cambodian border. It looks like the VC specifically targeted him. Word is out that the Chinese advisor has offered a reward for the Green Berets at Camp A-555 for all the trouble they caused. Gerber decides that he must be stopped and convinces the others to sign on for an extra six months so they can finish this guy off. They check out the village where McMillan was killed and find a major underground complex that they are able to destroy. Then the group gets a 30 day leave and Gerber and Fetterman decide to spend it in Hong Kong. They are joined by his girlfriend reporter Robin Morrow. While there Fetterman sees the Chinese officer. Later an attack by thugs and an ambush by armed men convince them the Chinese officer is stalking them in Hong Kong. Robin is later kidnapped and used as bait. All the other Green Berets are called in to help and a final confrontation between their Chinese nemesis occurs in a mansion in the hills of the New Territories. 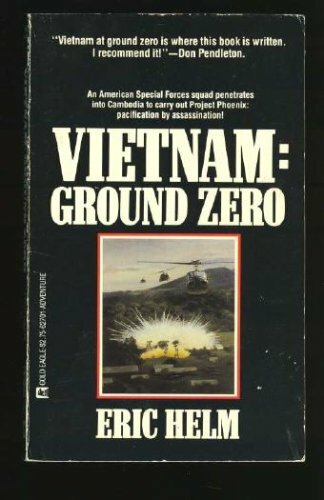 This book decided to take the action out of Vietnam. The entire second half occurs in Hong Kong which was a nice change of scenery. The guys will sign up for an extended tour so that’s how the series will continue on for a while. We also finally get a direct confrontation between Gerber and the Chinese advisor. A confrontation that ends with the uncertainty that the Chinese was killed. Fetterman shot him but his body disappeared in a lake and we don’t know for sure that he is dead. Only time will tell if he appears in a future story. 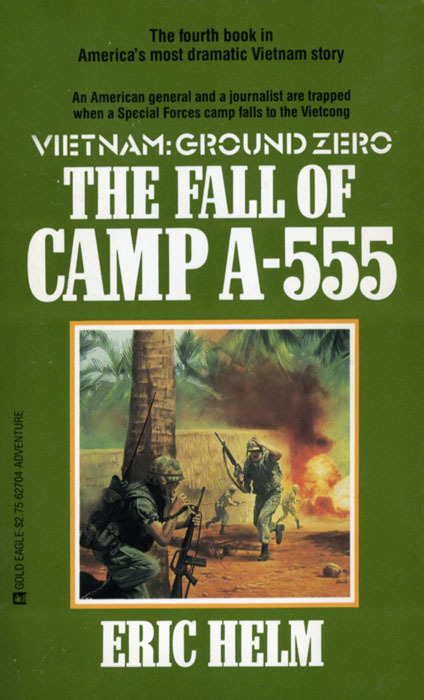 The men of camp A-555 get intelligence that a VC recruiting cadre will be coming through the area. It looks like a perfect opportunity to capture it. Captain Mack Gerber has some reservations about the information but decides to set up an ambush. His reservations are valid since the information was planted by the VC. The Chinese officer who is the teams nemesis came up with the plan. He wants to capture as many of the green berets as possible. Soon the ambushers find themselves the ambushed. Three men are captured and taken to a secret VC prison camp. There a sadistic VC major has plans to torture the three. 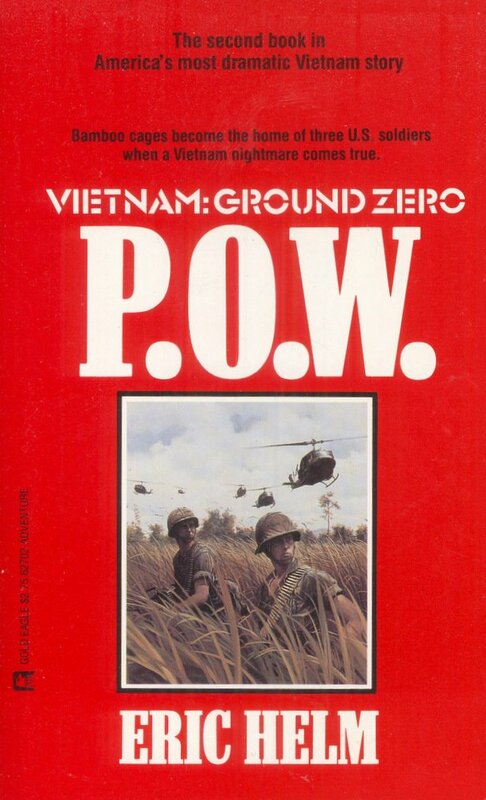 The second book in the series deals with the POW issue. It shows what the captive could expect. The book also introduces us to the Chinese officer. Before he was a shadowy figure but in this story he is actually part of the action. Sgt. Fetterman gets to meet him. Fetterman gets to really shine in this story. An old veteran of WWII and Korea is a small man who claims to be descended from Aztecs. He has a fondness for exotic Japanese ninja weapons and manages to calmly escape his captors and lead a rescue back for revenge. The Chinese officer once again escapes to cause further trouble down the road. An ARVN ranger squad is ambushed and massacred near the Cambodian border. It looks like it was carried out by the mysterious Chinese advisor that has been the bane of Mack Gerber’s Green Berets. Discreet inquires with a CIA friend finds that there is a secret program to assassinate Communist cadre. He assures Gerber that the government will look the other way if a successful assassination is done provided that they don’t get caught. So Gerber has two of his best men cross the border and assassinate the Chinese advisor. On return they are arrested for illegally crossing the border and assassinating a foreign national on neutral soil. Now Gerber has to rescue his men from a kangaroo court conducted by General Crinshaw. The bankruptcy of Pinnacle ended the old Scorpion Squad series. Luckily it was picked up by Gold Eagle the Harlequin for men book publisher. It was given a much more appropriate name but otherwise remained the same. This one we get a fair amount of legal intrigue with the prosecution by a General out the get the men. The information was leaked by a Cong agent and it was fascinating way that they managed to get Crinshaw to drop the charges. Of course the general has it out for Gerber so he’ll still be a problem in the future I’m sure. Also Gerber gets a new love interest. The Air Force nurse he was seeing turns out to be married and she leaves Vietnam. Luckily her sister is a reporter stationed in Vietnam. Amazing how that worked out. The reporter is a better choice as a romantic interest then a nurse. Definitely more possibilities with that.